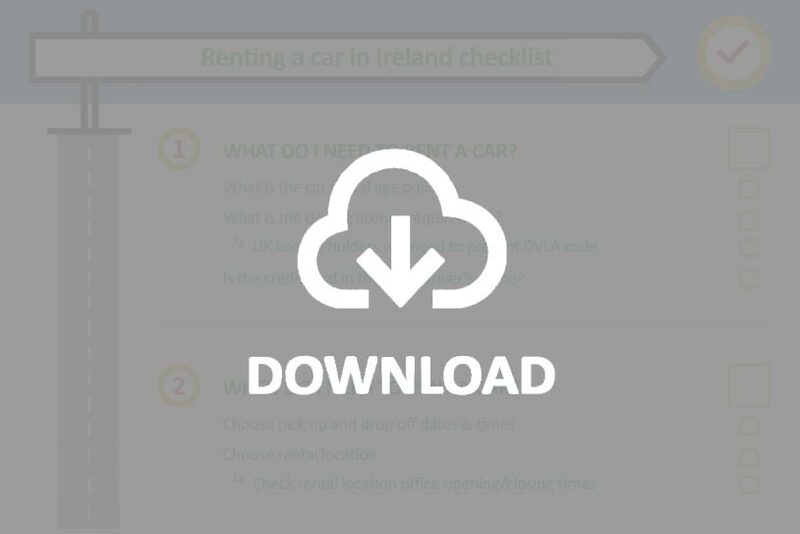 If you're looking for a practical guide that you can use today, then you'll love this complete guide (2019 update) to renting a car in Ireland. Renting a car is such a common part of the travel experience and being prepared in how to rent a car in advance will help you to have a straightforward rental experience. The guide will also explain the car hire excess policy in Ireland below. Bonus: Download a free checklist that will show you how to rent a car easily listed here. Majority of visitors to Ireland fly into Dublin Airport and collect their car rental Dublin airport or spend a few days in Dublin city centre and collect their car there instead. Below is the map of majority of rental locations in Ireland provided by various car hire companies. When you are shopping around to compare car hire prices on the internet, there are travel booking sites, aggregators and direct websites options to get a quote. It’s important to check if there are add on fees for going through third party options. There are a few things you need to think of, which rental company to rent from, what car to get, extras and locations. Compare car rental at Dublin Airport quotes with different providers and check the offers & service you will get, such as service, insurance, location fees and so on. To avoid misunderstandings, it is advised to read the terms and conditions and your rental agreement what you have agreed to. The Car Rental Council of Ireland is the representative trade organisation for the car rental industry in Ireland. The Council is recognised by Ireland's official boards; Failte Ireland & Tourism Ireland and a constituent member of the Irish Tourist Industry Confederation. Car rental member companies of the Car Rental Council of Ireland are committed to providing a high quality customer service. The objective of the Council is to promote policies that ensure customers of car rental member companies have a positive experience when renting a vehicle in Ireland. What do you need to rent a car in Ireland? It is advised to check with the rental companies' polices on age requirments to rent a vehicle. Some companies may charge an additional fee for young drivers which is known as Young Driver Surcharge. Those from United Kingdom, United of States, Canada, Australia and EU member states will not need to provide an International Driving Permit. International Driving Permits where required, must be accompanied by the original domestic licence of the driver. As of June 8th 2015, DVLA announced the UK paper counterpart of the driving licence is no longer valid. Irish car rental companies require all UK licence holders to present a ‘check code’ before the rental can be released; the ‘check code’ will be valid for 21 days. This can be obtained by printing it out from the DVLA’s ‘Share Driving Licence’ section - https://www.gov.uk/view-driving-licence - before you collect your vehicle. 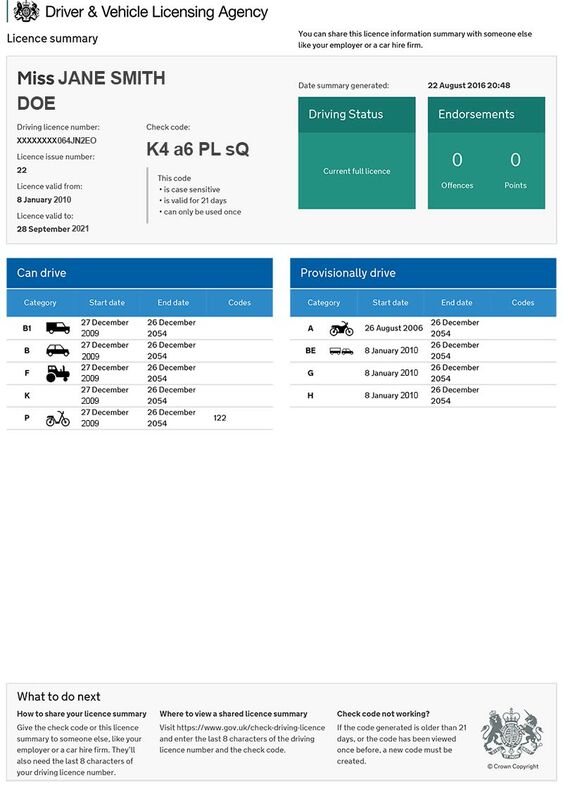 See an example of DVLA check code document. If you need to hire a car or a van for more than a month or two, a long term car rental would be what you require, this offers a greater flexibility and value of money. Shop around and read the terms & conditions for long term rentals. Choosing your locations in line with your travel plans is ideal; such as if you are flying into Ireland then the most convenient place to collect your car is at the airport. Some hire companies will charge a one way drop off fee depending on the pick up / drop off locations, check the car rental companies’ website for more information on one way rentals. Choose a car that meets your needs, if you have a family with lots of luggage then a large car would be suitable. If you’re just looking for a car to get you to places, then choose the mini or economy car group and save money. There are premium or luxury car hire for those looking for a touch of class. Audi, BMW 5 Series or Nissan Qashqai even, book luxury car rental Ireland. What does “or Similar” mean? When you search for a quote on car hire companies’ websites, you’ll see that they list a [brand or similar] for instance “Ford Fiesta or Similar”. This means when you book a car, the rental companies do not guarantee the same model booked for due to availability however you should get car on like for like basis / “or similar” based on same or higher ACRISS code. CDMR : Compact, 4-5 Door, Manual Transmission, either Fuel/Diesel, Air Conditioning. 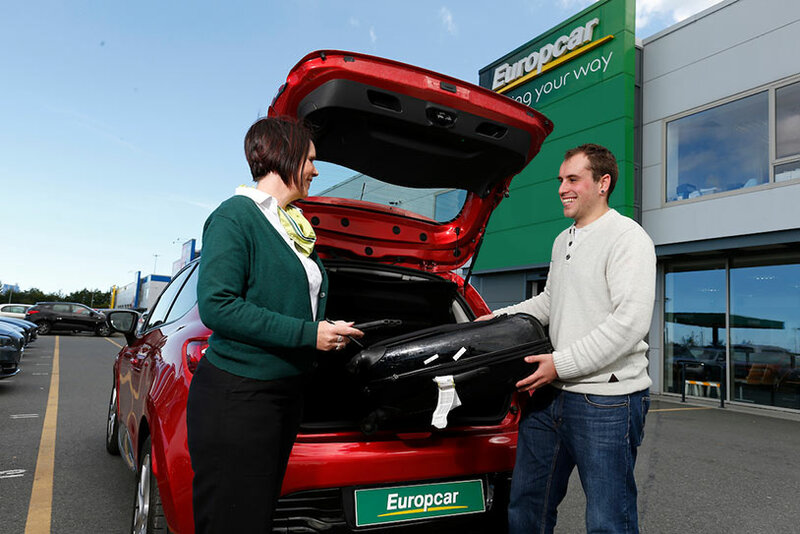 This is standard rental procedure used in the car hire industry in Ireland used by Europcar, Irish Car Rentals, CARHIRE.ie, Hertz, and Budget. Manual gearboxes are most common in Ireland, if you require an automatic you need to specify this to the rental firm at booking, or it will assume you’re expecting a manual. Rental companies do charge a premium for automatics as well and automatic transmissions are usually only an option on mid-size saloons or luxury cars. If you do choose a manual transmission, make sure you feel confident with it. You will be required to shift gears with your left hand while trying to negotiate unfamiliar roads. This is usually included in the car hire quotes and covers you in the event of damage to the rental car; the excess of around €1500-5000 is a pre-authorisation hold on the main driver’s credit card until you return the car. If unfortunately there is damage to the rented car such as a broken mirror or a scratched door, an amount will be taken by the rental company and the remaining deposit is refunded. Excess is a pre-authorization on the credit card during the rental and is refunded when the vehicle is returned without damage. As per worldwide banking procedures, refunds can take 3-5 working days to appear back in the account. There will be an option to purchase a super CDW which would reduce your excess to zero. Check with the car rental provider for more information. Ireland is one of the few countries that credit cards’ CDW often will not cover. To remove the basic cover with using your credit card insurance, you would have to be a holder of an US issued World MasterCard or Canadian issued Gold/Platinum Visa/MasterCard along with a written letter from the credit card company stating you have coverage for Republic of Ireland. Some companies may also apply an administration charge where credit card CDW is used. There may be an excess on this, check with the Dublin Airport rental car provider and your credit card provider. Rental companies provide extras to complement your rental needs at additional costs, such as Sat Nav or baby/child seats for families. In Ireland there is a legal requirement for children up to 150cms / 36kgs or 12 years of age (whichever they reach first) to use a child seat appropriate to their weight or height. – European Communities (Compulsory Use of Safety Belts and Child Restraint Systems in Motor Vehicles) Regulations 2006 – See legalisation here (S.I. No. 240/2006) If you plan to rent baby or child seats, it is ideal to book these in advance to ensure these are available when you collect your rental. The last thing you want is arriving to collect the car and find there are no baby seats available! Keeping your child safe: Child car seats guide can be found here. *Not all seats are available, please contact us. If you are planning to drive to Northern Ireland, you may need to advise the staff at the rental desk. There may be a subject to cross border fee added to your rental to cover the vehicle in the event of a breakdown and tow back into Republic of Ireland. Most car rental companies only accept credit card as a form of payment, major credit cards are usually fine; MasterCard, Visa, American Express and Diners Club. - Debit cards or prepaid cards are not accepted. - Cash payment is not accepted. If the husband is the main driver and uses his wife’s credit card in her name for the rental – this will not accepted. If the wife is the main driver and uses a credit card in her name for the rental - this will be acceptable. After going through the procedure and signing paperwork– Rental agreement, credit card authorisation form etc and you will be asked to pay with the main driver’s credit card then be given car keys. Check with the car rental company for cancellation policy. 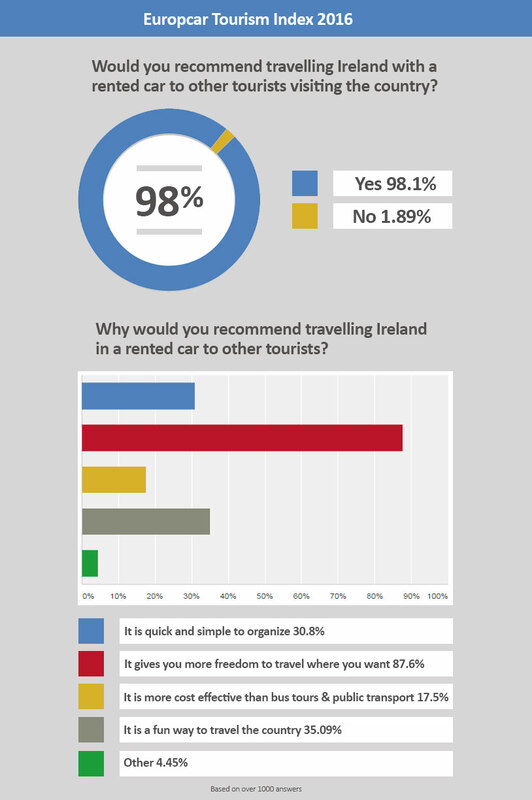 Irish Car Rentals' policy is once availability has been confirmed, 60% is charged. A cancellation cover can be purchased for €5 per week. If cancellation cover has been purchased, and you cancel at least 24 hours before your pickup time, all charges less the cancellation cover will be refunded. More information can be found in the FAQs page. 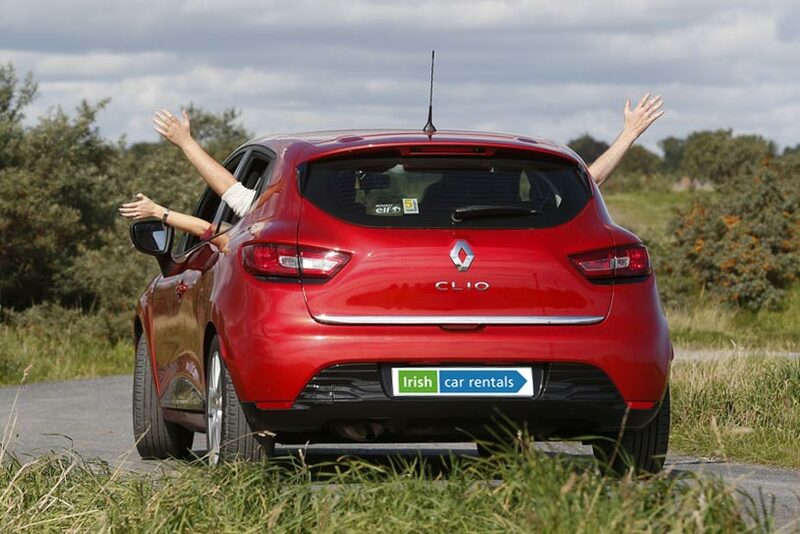 With Irish Car Rentals you can amend your booking up to 48 hours before your pick up for free of charge. Before you leave the rental depot, check the car for scratches, dents etc and ensure they are highlighted on the rental document they provide. Taking photographs on your phone can come in handy. Book advance for peak seasons (Easter, summer and Christmas) – tends to be cheaper advance and availability. Print out your rental reservation documents. Check the car for damage with the rental staff before leaving the office. Choosing diesel for long trips can be more efficient. Return the car full tank; this is cheaper than office’s refuel rates. When returning the vehicle, ask for a receipt and check for the extras fees incurred. For more tips on car rental, visit this guide. 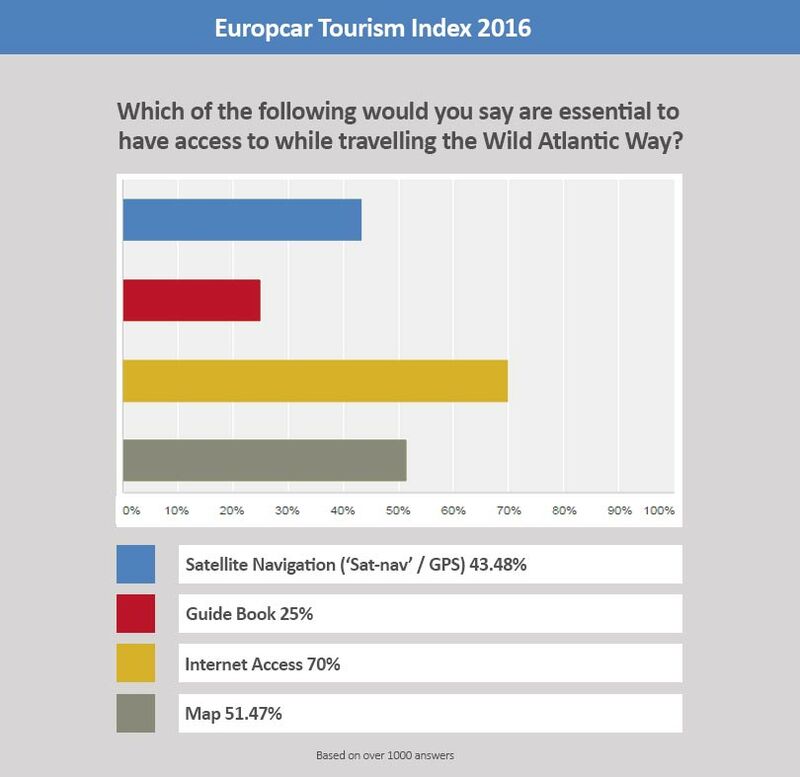 This should help to explain the rental process, don’t be deterred by all the information that precedes this, there should be no reason that touring around Ireland shouldn’t be an enjoyable and unforgettable experience. It is advised to get familar with the road rules and signage if you're driving in a new country for the first time, driving in Ireland guide might be an useful read for you. OnTheQT crew took off on an adventure along the The Wild Atlantic Way, a 2500km stretch of road along Ireland's West Coast. It includes 157 discovery points and 1000s of attractions. We've created a free step-by-step checklist that you can use to quickly apply when booking your vehicle rental. If you have any questions regarding car rental procedure, please contact us and we will advise you. If you would like to book car rental for your trip, please click here.